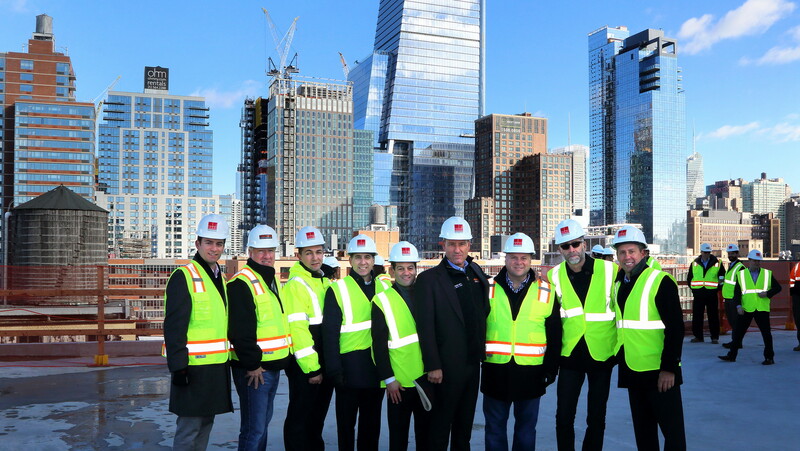 Savanna, along with its JV partner, the Silvermintz family, and general contractor Triton Construction, celebrated the topping out of 540 West 26th Street on January 25. The building is a 166,810 s/f mixed-use development in West Chelsea. The concrete superstructure has reached its full height and the final of the nine floors was poured earlier this month. Savanna’s development team is working with architect Morris Adjmi. It has pre-leased 51 percent of the building to Avenues: The World School and is currently marketing 67,069 s/f of available office space on the upper floors as well as 12,400 s/f of gallery space on the ground floor. Savanna has engaged David Falk, Daniel Levine, Peter Shimkin and Nick Berger of Newmark Grubb Knight Frank to lease the office space and Jamison Weiner of The Manhattes Group to lease the retail. The project is slated to be completed this fall.